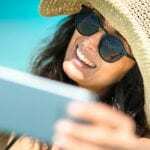 How the Trendy HCG Diet Can Help You Lose Weight for Summer, Fast! Posted on Tuesday April 9th, 2019 at 02:52 PM. Scars and Stretch Marks Be Gone! Posted on Thursday March 21st, 2019 at 03:57 PM. Your Dream Beach Body Can be a Reality with SculpSure at Our Wellness Center in McAllen! Posted on Monday March 4th, 2019 at 10:57 AM. 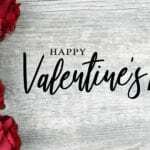 Check Out These Three Amazing Services That Can Make Your Valentine’s Day Special! Posted on Monday February 11th, 2019 at 10:57 AM. Posted on Friday January 25th, 2019 at 03:16 PM. Avoid the Distress that Can Come with Aging with Dysport and Restylane! Posted on Monday January 7th, 2019 at 01:38 PM. Holiday Weight Gain is Real and Our Wellness Center in McAllen Can Help You Fight It! Posted on Thursday December 20th, 2018 at 02:02 AM. Look Holiday Perfect with Our Restylane Service at Uptown Medical Wellness & Anti-Aging Center! Posted on Friday November 30th, 2018 at 11:06 AM. Dysport in McAllen: Get to Know This Groundbreaking Product and Its Effects! Posted on Monday October 29th, 2018 at 02:09 PM. Do Weight Loss Injections Really Work? Posted on Thursday October 11th, 2018 at 03:37 PM.